For most of my life, I followed the Jewish dietary laws of Passover. I would join the throngs of people who drive across town to the Dierberg’s in Creve Coeur which has the best Passover selection in the St. Louis area. I would stock up on matzah, matzah meal, potatoes and eggs. For those of you not familiar with Passover, it’s an 8 day holiday that requires Jews to avoid certain foods. Eating out is severely restricted even for a Jew who doesn’t keep kosher all year because it’s hard to find things to order that don’t have any of the restricted ingredients. These rules vary somewhat depending upon the heritage of the Jewish group and whether a Jew is observant of all of the laws (most of us aren’t). The biggest challenge is finding easy meals without soy products or corn syrup. When you start reading nutrition labels, you realize that corn syrup is in almost everything. There are many recipes designed specifically for Passover using matzah meal or potato starch…things you normally wouldn’t use in cooking and have to be bought specifically in a Passover grocery isle or online. Many everyday recipes can also be used or slightly modified to make them Kosher for Passover. Actually, there are a ton of recipes that work during passover if you simply get back to the basics. Meat, fish, potatoes, most vegetables, dairy and eggs are all fine as long as you don’t add a coatings or pour a thickened sauce over the top. For years, I continued to keep the Passover dietary rules of my childhood even though I’m not religious because I saw it as a cleansing period. Passover meant I couldn’t eat processed food, had to cook almost every meal and couldn’t eat out unless I was going to order a steak and baked potato. Everyone I know who keeps Passover gets bored making the same recipes every year. Hopefully this recipe list will inspire you to give something new a try for your Passover table. Find all of my latest Passover discoveries on my Passover Pinterest board. Follow Karen Goodman’s Pinterest Food Board – Passover. 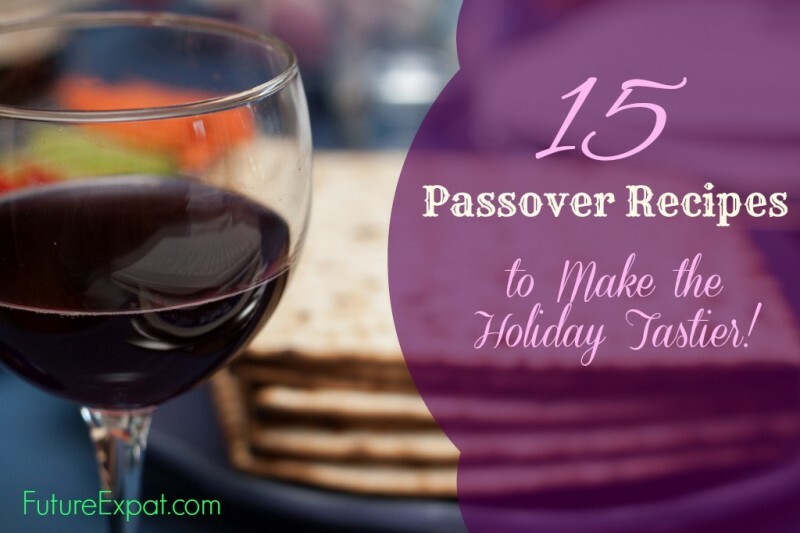 Do you have a favorite Passover recipe? Hello…visiting from the Fancy This Fridays #172 party at trulylovelyblog.com. This was very interesting to read as I was aware of food restrictions during Passover, but not any specifics. I was totally unaware of the corn and soy restriction. Thanks for teaching me my new thing today!